Salisbury University Club Baseball hasn't added a story. 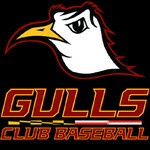 We are the Salisbury University club baseball team and we need help to finish what we have worked hard all year for. In our success we have earned the opportunity to travel to Pittsburgh, Kansas to participate in the National Club Baseball (NCBA) World Series. Any funds that are raised will be used for the many different expenses involved in this trip like lodging and transportation. Monetary contributions to our trip will go a long way in helping our team take advantage of this amazing opportunity we have earned. Salisbury University Club Baseball hasn't posted any updates yet. Salisbury University Club Baseball is managing the funds for this campaign.